Update: Interpol said on Sunday that Meng has resigned as the president of Interpol. "Today, Sunday 7 October, (at) the Interpol General Secretariat in Lyon, France received the resignation of Mr Meng Hongwei as President of Interpol with immediate effect," reads a statement from the international police organization. South Korean national Kim Jong Yang wil become acting president, while a new president will be appointed at a Nov 18-21 meeting to be held in Dubai. JUST IN: Interpol says it has received the resignation of Meng Hongwei, who had been reported missing, as president. 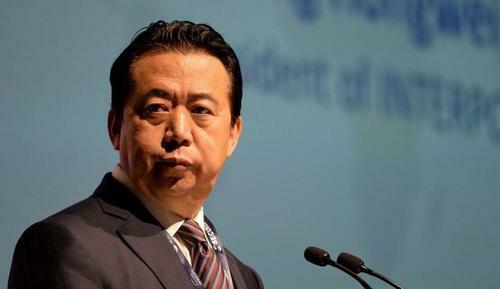 The wife of missing Interpol president Meng Hongwei has revealed a grisly text message sent to her before his mysterious disappearance after Chinese authorities detained him "for questioning," reports The Independent. 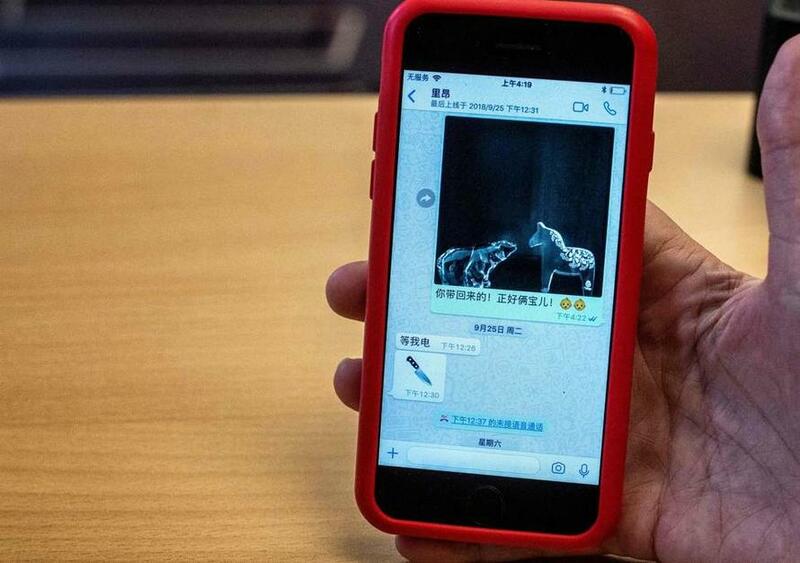 Grace Meng says that her husband, 64, sent her an emoji of a knife shortly before his disappearance. Grace Meng said she believes that sending the image was her husband's way of trying to tell her that he was in danger. She added that she has had no further contact with him since the message was sent on 25 September. Meng, who is also a deputy minister for public safety in China though he had been living with his family in Lyon, France, where Interpol's headquarters is based, was reported missing by his wife last week, prompting prosecutors in France to open an investigation. That investigation is continuing despite confirmation that Meng is being held by the Chinese government. "Interpol has requested through official law enforcement channels clarification from China’s authorities on the status of Interpol President Meng Hongwei," Juergen Stock, secretary general of the organization based in Lyon, France, said in a statement. "Interpol’s general secretariat looks forward to an official response from China’s authorities to address concerns over the president’s well-being." Meng is also China's deputy minister of public security and has 40 years of experience in policing and public safety. His experience includes stints working on narcotics enforcement and counter-terrorism, according to Interpol’s website. While many at Interpol feared Meng would abuse his position to encourage foreign governments to extradite Chinese dissidents living abroad, instead, he appears to have taken an interest in cybercrime enforcement since his election in November 2016. His term is set to expire in 2020. Senior SCMP reporter, Bobby Siu, tweeted on Sunday that the Central Commission for Discipline Inspection has now confirmed that Meng is under investgiation for a serious violation of an unspecified Chinese law.